If you are planning to buy your first home, you’re probably filled with a mix of excitement and, let’s face it, fear. This is a big, big commitment and you don’t want to get it wrong. You certainly didn’t spend all that time saving for your deposit just to throw it away on a few bad choices. Buying a home is not easy, even for those who have done it before. Here of some of the things you may not have thought about but which could make the entire process go a good deal smoother. We often want to live in a certain area, either close to work or near to friends and family. Looking further afield, however, and really checking out the house prices can make a significant difference. For some, it can mean choosing between a cramped flat or a three-bedroom house for the same amount of money. Ideally, you want to search for an area that is on the up and up – somewhere that could be a great catch for new buyers in the years to come. Don’t settle on the first estate agent you come across – look for someone with experience who is going to work with you and get you the best deal, not just protect their own commission. 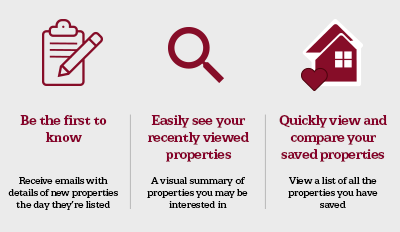 Ask for recommendations or check out estate agent review sites. AllAgents is a great place to start. You might think getting a mortgage is simply about approaching your bank and asking for the loan. Mortgages can be a minefield and you want to choose the right one for your needs. A broker might seem like an added expense but they can save you from making the wrong decision. The rules are a little tighter now when it comes to mortgage lending, so a good broker is the best person to advise you on what will work and what won’t. One pitfall new buyers often fall into is not understanding the difference between the solicitor’s property search and a home survey. The first includes all legal documentation about your property such as land checks. The second looks at the condition of the property and whether there are any expensive problems such as damp or damage that you should be aware of. They are both important. With so much competition from other buyers, you might be tempted to put in offers and get things signed, sealed and delivered as quickly as possible. It is important you love your new home, but getting carried away and rushing in could end up in tears. Bear in mind that this is going to be one of the biggest investment you make in your life and as much as a particular house may be “perfect” try to stay level headed. Buying a house can be a long process and there are many different strains and stresses that will crop up during that time. If you are renting don’t hand in your notice until you are 100% sure that things are going through. There can be various delays, most of which you don’t have a control over. As the old saying goes: Grant me the serenity to accept the things I cannot change, the courage to change the things I can, and the wisdom to know the difference. Finally, when the choice has been made make sure that you sort out not just your buildings insurance but your contents cover too, making sure your valuables are covered during the moving process.